Free Instrumental Music Downloads and Background Music Download Store. Production Music For Presentations and More! * Please see important information on music usage below store. * YOUTUBE USERS: To clear any copyright claims on your videos (including monetized videos), simply visit THIS PAGE, enter your details and video link and copy/paste the contents from your purchased License Certificate you get with purchase into the message box. Claims are removed within shortly and you’ll receive an email once this has been cleared. You may want to keep your uploaded video listed as ‘private’ until this has been completed. PRODUCERS with Clients: Please contact me at SophonicMedia@yahoo.com if you are working for a client and need their Youtube channel cleared before handing over a finished product to them. Thanks! 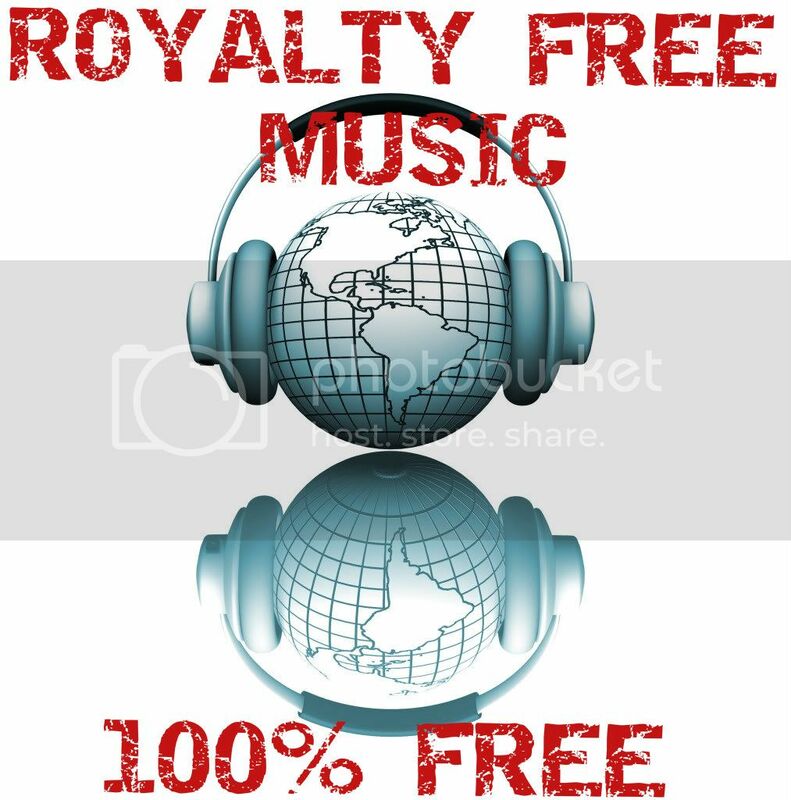 Thank You to all that have purchased premium background music from the media player above it really helps with the cost of running this website and producing more free music found below. Safe Secure, Fast, & Easy Paypal Payment. Rock Loop 1 This track is edited to be looped. Thank You For Visiting My Site! Please check back, new music added all the time. Lots of people on Y!A have asked the same thing broefe, and it is always a quandary whether they should give up the “audio rights” of their video for money. Only you can decide if you’re indeed willing to ”prostitute” yourself and your video from $$$. But remember: The video will partly belong to them.If you don’t care what your audience thinks of you and if you don’t think your “views” will suffer, then go for it, but you never told us if you’re over 18 years of age. Hello very nice website!! Man Wedding Book Israel Excellent .. Wonderful .. I will bookmark your blog and take the feeds also?I am happy to search out numerous useful information right here within the submit, we’d like develop more strategies on this regarding, thanks for sharing. . . . . .
they even take request by email! If you could message me with a few hints about how you made this blog site look this awesome, Id be appreciative. Hmmm…very great to discover out, there had been without a doubt many elements that I had not concept of before. I just wanted to post a simple comment in order to express gratitude to you for all of the unique tactics you are giving on this website. My rather long internet investigation has now been recognized with incredibly good knowledge to exchange with my guests. I ‘d state that that many of us website visitors are definitely blessed to dwell in a perfect community with many wonderful people with useful things. I feel quite lucky to have discovered your webpages and look forward to plenty of more awesome moments reading here. Thank you once more for all the details. I really like this infographics and the way there are designed. It’s a way to deliver the information more creative. great post, very informative. I’m wondering why the opposite experts of this sector don’t realize this. You should proceed your writing. I am confident, you’ve a great readers’ base already! I feel that is among the most vital information for me. And i am glad studying your article. But should remark on some normal issues, The site style is wonderful, the articles is truly excellent :D. Good activity, cheers. Thank you so very much. Just the background music I was looking for. I gave credit to your creative ingenuity in my facebook account. Keep up the excellent work! Cheers! If you mean license, please send me email receipt for purchase of my music and I can send written license to use, thanks. I would love to be able to download some of these for free but can’t get it to work. If its the free ones under the media player store you would probably have to be on a destop and right click then choose save download file as. How do I get free music using MAC? it doesn’t give me the option when i Control-Click (right click?) I’m trying to use your music as my son’s background music for his 1st bday slideshow. Thanks! On the free music under the pay store just right click on blue song title and select “download linked file as” then just pick a spot on your computer to download it to. When you purchase a song you will get a instant download link right after purchase in your paypal email. Please check your spam inbox it may have gone in there. Email me at Sophonicmedia with proof of purchase and I will be happy to manually send them over to you. Great, You are doing a great job. Loved d website ……. can i use the free stuff for my works??? Ill surely give credits….. and i have sone musicless songs at my webstie…..i meant this: http://www.reverbnation.com/phoenixar7 . Can you make some music for.me..???? Ok, after 5 minuttes I sent a mail to Ryan, and he answered after 2 minuttes. fantastic support! Thanks for putting the word out. I appreciate my customers!! Hi I just got a new computer but I purchased and downloaded this song on my old computer is there anyway i can download it again? Hi I am looking for music for a video I’m making your website says it’s free but I’m a little lost at how you actually download it? Let me know if I am wrong? Under the store media player there is a few selections of free music, just right click on them and choose “Save as”, name what you want and file will save to your computer. Thanks! Hi, we are doing a promotion youtube video and will let it be freely public downloaded by anyone. This video is for promotion of our products. Can we buy your music in zip format, which has written license file? Yes, that is fine as long as you are not selling the free downloads or other people won’t be posting them to use as there own, basically getting free music. Thanks. thanks to his music. you did a good person. I like your collection.so nice. Sorry but if its to be used on Youtube and its not in the free section below the store it does have to be purchased and licensed. Thanks! I would like to download one of your tracks. It says it is $6, how much would this cost when downloading from the UK? Sorry not sure what the conversion rate is off hand, you’ll have to google that. can i get the music instrumental free as long as i credit your website on my school project ?? There are a few songs available for free under the store/paid player but all the other music has to be purchased/licensed. Firstly, I wanted to say that you have some great work. I just purchased the standard licence for $6 entitled “Inspiring”. it mentions in the licence that “Lyrics or other instruments cannot be added to this song and then become a new song owned by anyone but me. (without special permission and arrangement)” does this mean, if i put lyrics over your music, you will own the copyright to them too? Hello as long as the videos are all on the same channel one license/purchase will do for use on multiple videos. Thanks! So ryan, im allowed to use it on my youtube videos just as long as i buy 6 dollar ones right ? (ones with license). just to just clarify. And also would you like my to credit your website and your music as well ? It would benefit both of us greatly if you say so. I personally think your back ground music are awesome, and i plan to start a career on youtube. I would very much like to use your music for all my videos later on. Feel free to contact me on my email ! Yep, the $6 version includes a license especially for use on Youtube and allows you to monetize your videos. A credit link would be much appreciated, “Music by Sophonic Media, http://www.instrumentalsfree.com” would work. Thanks for the kind words. I think I have purchased just about all of your songs. You are a very talented musician! Everyone who hears the songs are in awe. Keep up the good work! You are obviously a very positive person. The world should have more people like you! Keep up the good work! this’s really help me to do video worship! you’re so kind to share this. Hi Ryan, I have just bought a track from your account. How do I access the track? When you purchase you get re-directed to a download page and as backup the store also sends email with download links, check spam inbox. Thanks for the purchase!! Not all my music is free, I have to pay the bills somehow?? Its $6.00 because it comes with a license for use so people can use for presentations and monetizing and making money off their videos. The hit songs are cheaper because they are just for listening, I have some music available on iTunes if you would like to purchase for listening purposes only. Thanks! Hi, I’m a publisher from Thailand, DMGBooks. We would like to buy the license of Powerful Inspirational Background Music for Presentation, to use for our audio book. Please could you let us know the fee as well as how to proceed further. We tried to click on the basket button above but it didn’t work. And if we would like to buy several of your music pieces, which are very nice, will there be a package deal for several songs? Thank you so much and look forward to hearing from you soon. Keep up the great work and uplifting music for the world. Please email me directly at sophonicmedia @yahoo.com thanks!! HI rayan, I’ve just bought 3 of your amazing tracks from the tuneport box. I was redirected to the download page and I downloaded the tracks, but I couldn’t find the license’s pdf . Is the license the purchase’s confirmation mail I received? Just sent you an email! Thanks! Hello, sorry but at the moment its my own site that I use to sell my music and give away a couple of freebies. Just emailed you regarding usage of music! Thank you.. your help is enormous for my school videos. Hugs from Greece! Wow… Such an uplifting music. I just loved all the tracks. Just want to know how to download. Hello.Thank so much for this music. Your music is amazing!I love it.God bless you. Hello, if I buy the standard license for $6, can I use your music in publicity video of new product? Please kindly let me know, thank you. Thanks for the purchase and kind words. You can email me at ( sophonic media@yahoo.com ) if you need help. Thanks a ton dude….your stuff rocks!! Free?!? These songs costs money!!! If you didn’t know!!! Which I doubt you don’t, Free means doesn’t cost anything!!! Oh! And just saying, it is good music! A couple are free and some are paid. Got kids to feed and bills. Hi I downloaded and paid to use one of your pieces. I’m adding it to my You Tube video. I tried your link above “simply visit THIS PAGE, enter your details and video link ” and it didn’t work. Looks like it is working fine now. Thanks! Hello, the page we are supposed to visit to clear copyright claims, doesn’t exist. Hmmm, just tried it and that link seems to work fine. Thanks! Slideshow was prepared for family viewing. Thank you! One of the tracks will go great for a teaser video I am making for my sons main Graduation from High School video! The track is so good I may use it in the main video! Thank you! Great, glad you could use my music for a great memory!